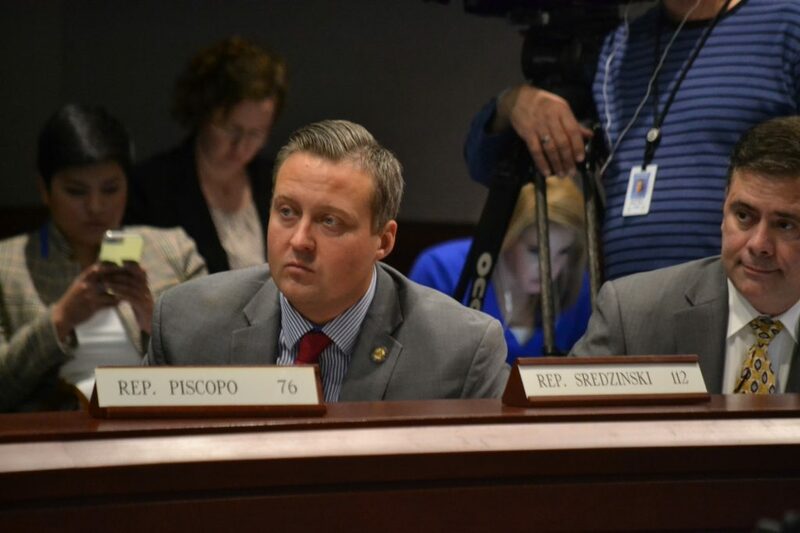 HARTFORD – State Representative JP Sredzinski (R-112) today urged the State Bond Commission to remove from their agenda an item bonding $10 million to study the impact of electronic tolling on Connecticut highways. The agenda item would borrow money to pay for the study and is a request from Governor Dan Malloy, who chairs the Bond Commission and decides which items are on the agenda. The study would explore tolls on all major Connecticut highways, including Interstates 95, 91, and 84, along with the Merritt and Wilbur Cross parkways. Rep. Sredzinski offered the following statement in response to the announcement. “The governor has again displayed how totally detached he is from Connecticut’s reality and the State Bond Commission must not enable his fantasies. We have seen studies about the impact tolls would have. We have seen the proposals toll proponents are pushing in order to raise the most amount of money possible. It is unconscionable to ask Connecticut taxpayers to pay for another study that studies how the state can extract even more money from them. Ultimately, the study will find that tolls will make life for commuters and their families even less affordable. “The $10 million price tag on this particular study is suspicious enough – plans I had seen before the legislature costed only $5 million to study tolls. Why is this one so expensive? Further, asking for millions of borrowed dollars is particularly brazen, considering Governor Malloy and his administration will be gone in January and the legislature could look completely different. The State Bond Commission is scheduled to meet on Wednesday, July 25.